Saudi Arabia announced price cuts to its oil that it is exporting to Asia, in a bid to hold onto market share. Saudi Arabia’s competitors from the Gulf cut their prices last month, forcing the largest OPEC producer to follow suit. Saudi Arabia slashed prices by $1.70 per barrel, opening up a discount of $1.60 per barrel below the Dubai benchmark. Although there was little expectation of a shift in strategy, the price cut highlights Saudi Arabia’s determination to continue to pursue market share by keeping production volumes elevated. And if there was any question about Saudi Arabia wavering as prices have failed to recover, the country’s top oil official put to rest any notion that the OPEC leader would alter course. Related: Should Oil Field Services Companies Stand Their Ground More? 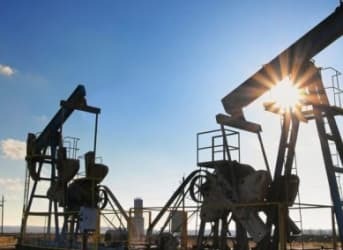 “Since the 1970s this industry has been experiencing sharp fluctuations in prices—up and down—which have impacted investments in the field of oil and energy, and its continuity,” Saudi Arabia’s oil minister Ali al-Naimi, said on October 2 at the G-20 conference in Turkey, according to Saudi Press Agency. “This volatile situation is neither in the interest of the producing nor consuming countries, and the G-20 countries can contribute to the stability of the market.” In other words, al-Naimi was calling upon non-OPEC producers to cut back production. While not specifically saying so, his comments suggest that Saudi Arabia will continue to seek a rebound in oil prices only by a contraction in production from countries such as Russia, Canada, and the United States. That leaves few other options for major cut backs in production from market producers around the world, with a lot of attention on North America. In the U.S., production declines continue, although fitfully and inconsistently. After several months of large declines in production, the supply picture has become a bit murky. For example, output fell by 222,000 barrels per day between April and May, and then by another 115,000 barrels per day from May to June. But in July, production actually increased by 94,000 barrels per day. The gains came from the Gulf of Mexico, and not the shale patch. Offshore projects are long-term propositions and don’t respond quickly to shifts in oil prices. However, even taking out the offshore gains, U.S. production would have only declined by 53,000 barrels per day, a slower pace than what was seen in previous months. Related: What Will Happen To Oil Prices When China Fills Its SPR? Nevertheless, declines are expected to continue. The oil rig count has hit a fresh five-year low, with a huge decline of 26 rigs for the week ending on October 2. According to Baker Hughes, there are now just 614 oil rigs operating in the U.S., down by more than 1,100 from a year ago. The drop off comes after a few weeks of modest gains in the number of active rigs. The rig count could be entering another period of contraction following the recent collapse in oil prices in August. As drillers reduce the pace of drilling further, the high depletion rates of older shale wells will increasingly overwhelm any new sources of production. That means more declines in output in the coming months – potentially at an accelerated rate. On top of that, October could be a crucial month for struggling drillers. With drillers undergoing credit redeterminations, October could see a wave of debt restructuring and cuts to credit lines, potentially forcing deeper cuts in the shale patch. More will be revealed about the trajectory of the U.S. shale industry – and by extension, the trajectory of oil prices – in the next few weeks. North America is not the only place where production may decline. JODI figures show a whole list of countries with declining production (eg, Mexico, Colombia, Ecuador) including several within Opec (Algeria, Qatar, Indonesia, Venezuela) and others where production increases have slowed or levelled (Nigeria, Angola, Brazil). With the turnover in N American production, the only places increasing now are Saudi, UAE and Iraq.